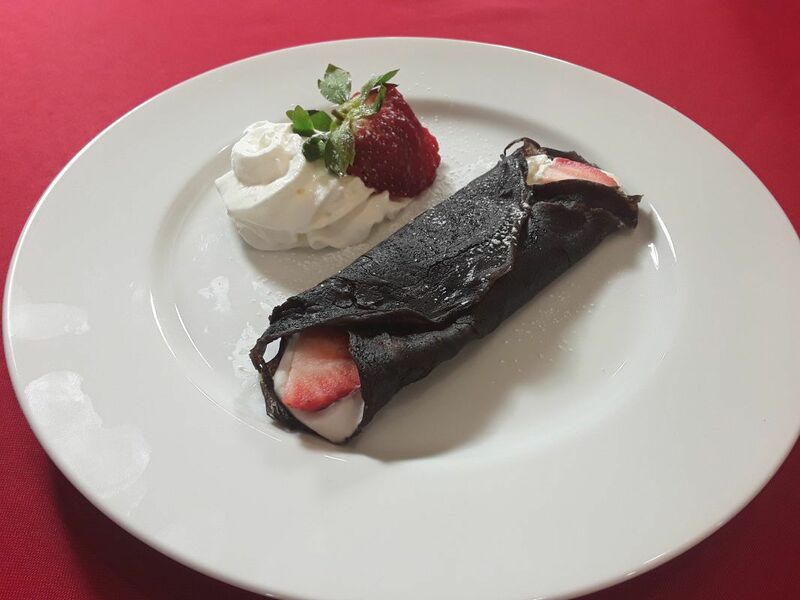 This chocolate crepe is a perfect Valentine’s Day dessert, but trust us when we say you could serve it any day of the year with no problem. This chocolate crepe with homemade whipped cream is sure to please any dessert lover. In case you’re wondering what exactly a crepe is, here’s a little background. A crepe is a type of very thin pancake, served with a variety of fillings. The main difference between a crepe and a pancake is that pancake batter has a raising agent in it, such as baking powder or baking soda, and crepe batter does not. This means that pancakes are thicker and fluffy while crepes are thin and flat. Cook the crepe for 1 minute, or until the crepe is slightly moist on top and golden underneath, or until top is solid and dry. Loosen the edges of the crepe, slide the spatula under it, and then gently flip it upside down into the pan, or flip if you are comfortable. Cook for 30 seconds or more and transfer the cooked crepe to a plate to keep warm. Beat the cream on high speed until it begins to thicken and gets slightly stiff. Add the maple syrup, sugar, vanilla extract to the cream while mixing. Continue whipping the cream until it forms stiff peaks. 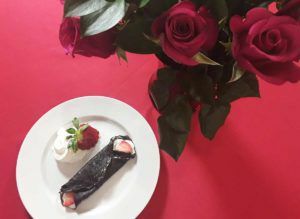 Serve, or spoon generous amounts onto the crepe, then top with thinly sliced strawberries and then fold over the crepe to envelop this cream mixture. You can view our other Cooking For Love recipes here or check out Chef Kendrick’s website, Cooking For Love.